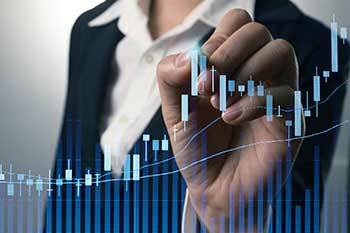 Value Averaging or Cost Averaging: Which one is better? Investors who invest in Systematic Investment Plans (SIPs) are well aware of the benefits of cost averaging of SIPs, but there is one more SIP option which the investors may not be aware of, namely, value averaging. Investors who invest in Systematic Investment Plans (SIPs) are well aware of the benefits of cost averaging of SIPs, but there is one more SIP option which the investors may not be aware of, namely, value averaging. While in cost averaging, the amount of investment in SIP remains constant and the cost of buying in rising and falling markets is averaged out over a period of time, in value averaging the amount invested in the SIP is determined by the level of the market. Let’s take a detailed look at the differences between the two options. In rupee cost averaging, if the investor chooses to invest, say, Rs 3,000 per month, the number of units bought with this amount when the prices of stocks are down will be more as the net asset value (NAV) of mutual fund units will decline in a declining market. On the other hand, when the prices of shares go up, the NAV of the MF scheme will be higher and, therefore, the number of units bought for the same amount (Rs 3,000) will be lesser. Therefore, the cost of acquisition of units during rising and falling markets will be averaged out over a period of time. In the case of value averaging, the amount to be invested in units is flexible, depending on market conditions. So, in a rising market, the amount invested in MF units is reduced, while in a declining market, the amount is increased. Thus, the value averaging option is a better one as lesser amount is invested when the prices of stocks are higher, and more amount is invested when the prices of stocks are lower. Due to this, the return on investment in the case of value averaging is likely to be higher than the return on investment in rupee cost averaging. If an investor chooses to invest in an SIP plan that offers the option of value averaging, the investor has to specify the lower and upper limit of instalments for the SIP plan. So, if the lower limit is Rs 2,000 and the upper limit is Rs 20,000, the SIP amount may go down to Rs 2,000 per month in a rising market, while in a falling market, it may go up to Rs 20,000 per month. The higher SIP amount may impact the cash flow of an investor whose income is fixed, so this factor has to be taken into account while specifying the upper and lower limit for the value averaging SIP plan.